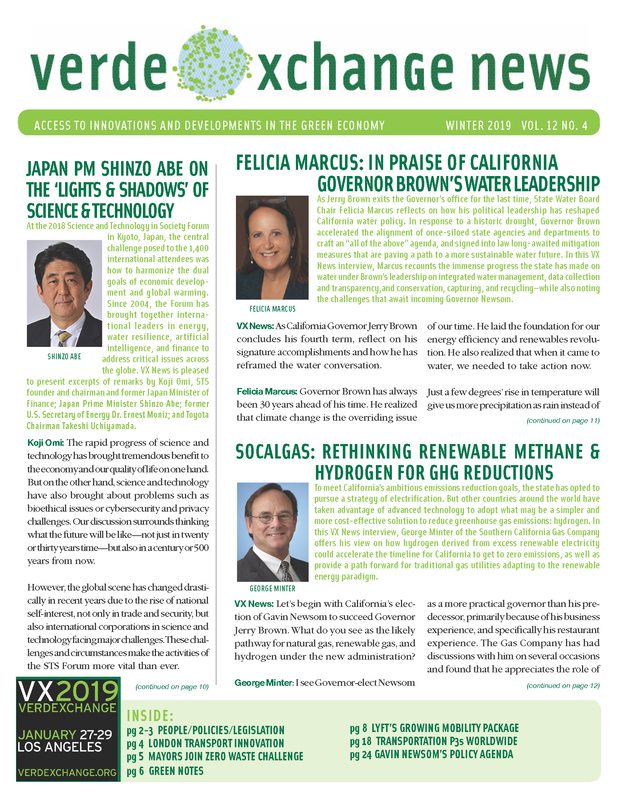 VX News sat down with new CalEPA Secretary Blumenfeld to discuss safe and affordable drinking water legislation, organic recycling policy, and taking on the federal government's inaction on climate. 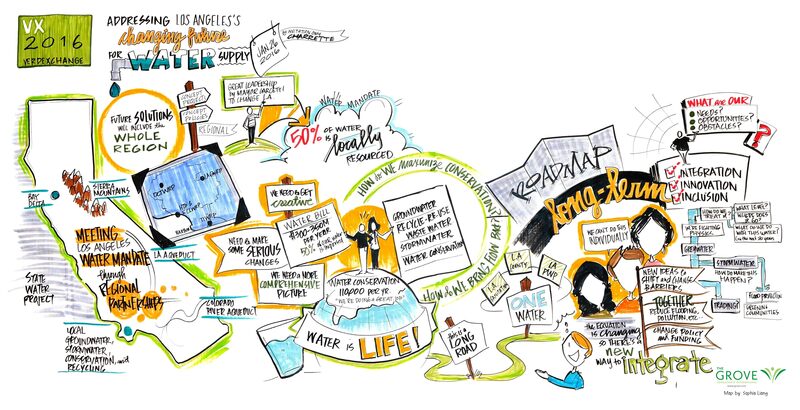 At VerdeXchange 2019, leaders in California's blue economy discuss the rich economic and scientific opportunities of ocean innovation. 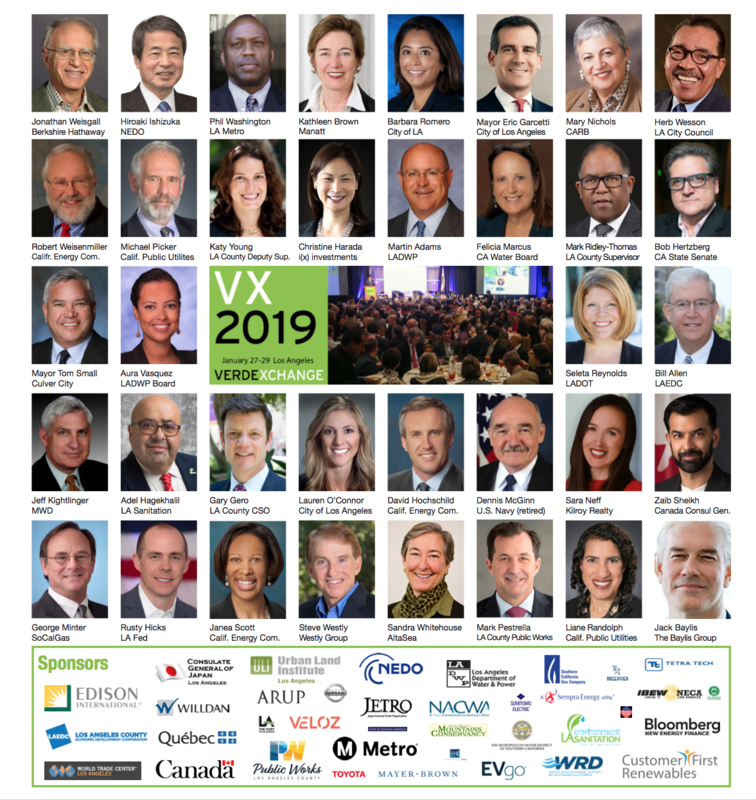 At the VerdeXchange 2019 Conference, the foremost stewards of mobility in California met to discuss coming innovations in air, train, and vehicle travel—particularly autonomous technology. 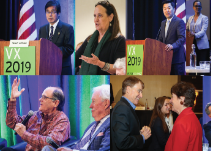 VX2019 convened regional leaders on climate change, environmental protection, and sustainable development to discuss how communities can rebuild after disasters. Recently named to the House Select Committee on the Climate Crisis, Rep. Levin joined VX News to discuss congressional priorities for infrastructure, clean energy, and protecting the environment. California Water Board Chair Felicia Marcus reflects on Governor Brown's leadership on climate during California's historic drought. Aquarium of the Pacific President Dr. Jerry Schubel highlights the role California can play in a growing blue economy.